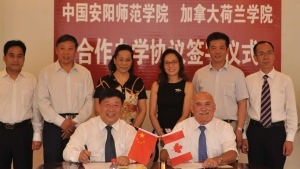 Holland College is expanding its presence in China as it celebrates 15 years of offering three-year diploma programs to students in that country. The college was a pioneer of the in-China delivery model, where students complete the entire program in their home country but receive a diploma from Holland College as well as their institution in China. The curriculum material is the same as the two-year program on P.E.I. but the Chinese students also do a full year of English-language training. And now there are plans to expand to four more Chinese colleges. "We should hopefully go from 1,200 students to over 2,000 students," said Dave Beaton, the college's director of programs. "People in China are seeing the results of their sister institutions and they're wanting to come on board as well." 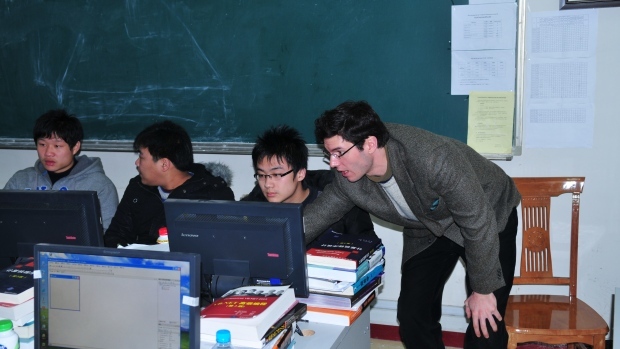 Holland College's style of teaching is very different from what students in China are used to, says Beaton. "The traditional Chinese model of learning is very much rote, where an instructor is standing at the head of the classroom and it's just repetitive, repetitive, repetitive. Very little hands-on training. And our model at Holland College has always been competency-based. You learn more by doing." Beaton says more than 2,000 students in China have received diplomas from Holland College over the last 15 years. Although the college knew the program was growing and that it was successful, it was nice to see it first hand, says Maria Driscoll, director of the college's international office, who has visited China twice. "It was incredible to walk in the door of a classroom in China and to see the Holland College posters up on the wall and to see the excitement with which they greeted the people that came to visit." 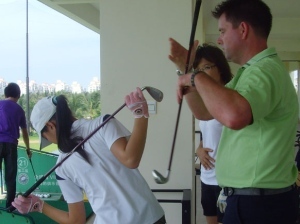 Instructor Shawn MacDonald has taught in China 10 times since 2008. "It's an incredible experience. It's challenging. We're giving instruction in English, but we do have Chinese counterparts, we have co-teachers in the classroom with us and they can help us translate to the students. But, ultimately, we want to deliver the programs in English for the students," said MacDonald. There are plans to celebrate the project's 15th anniversary this fall when a delegation of Chinese educators will visit the Island.